Do you feel stuck in a rut? Are you trying to break bad habits, such as overeating, relationship struggles, or stress-inducing thought patterns? If you feel stuck, and unable to move forward with your goals, there is a solution. It starts in your mind!! Hypnotherapy can help you cope with a variety of issues and make positive changes in your life. Have you tried diet after diet but are unable to shed the pounds? Are you tired of spending money on nutritionists and personal trainers without tangible results? Hypnotherapy may be the solution for you. Research has shown hypnosis to be a surprisingly effective way to lose weight. 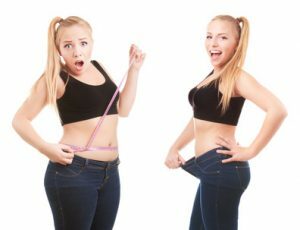 In a University of Connecticut study, hypnosis subjects lost more weight than 90% of others and kept it off 2 years after treatment ended. Why is hypnosis so effective for permanent weight loss? The secret is using your mind to control your cravings and emotional eating. Make permanent weight loss possible with hypnosis by changing your mind. Working with hypnosis, I have witnessed patients finally successfully reach their weight loss goals and keep it off! When experiencing hypnosis, also referred to as hypnotherapy or hypnotic suggestion, you may feel calm, relaxed and are more open to suggestions. It is usually done with the help of a trained hypnotherapist using verbal repetition and mental images. Hypnosis is used to help you gain control over undesired behaviors or help you cope better with anxiety or pain. It’s important to know that although you’re more open to suggestion during hypnosis, you never lose control over your behavior. Your unconscious mind may believe that certain chronic behaviors are necessary for you to function in a particular way. If a part of you believes that is true you are much less likely to change those habits for long. The problem is that many folks who fail to lose weight are not aware of their unconscious thoughts, such as emotional eating. Hypnosis helps you become aware of eating habits that are causing your excess weight. Then it will be possible to create new healthy eating behaviors. 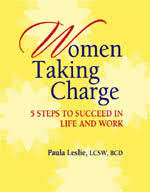 Paula Leslie, LCSW, BCD is a Certified Clinical Hypnotherapist with advanced training. She studied Hypnotherapy with Josie Hadley, Owner/Director at the Palo Alto School of Hypnotherapy. In addition to being a psychotherapist specializing in Holistic health, Paula has helped many clients with hypnosis since 1992. Paula has been an Adjunct Professor in the Graduate School of Psychology at John F. Kennedy University in Campbell, California. She was invited by Josie Hadley, Director of The Palo Alto School of Hypnotherapy to teach hypnotherapy students. Whether you are struggling to lose weight, battling anxiety, or simply want to perform better at work or sports, contact me to find out how hypnotherapy can help. Call today, or just fill out the contact form and click Send.